Zack Kassian Is An Edmonton Oiler! Not long ago Zack Kassian was likely the most hated NHL’r by Edmonton Oiler fans and now he’s an Edmonton Oiler. I look forward to seeing the crowds reaction to Zacks first game at Rexall place. 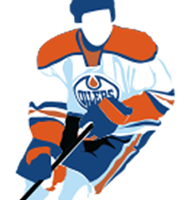 Oilers take on the project that is Zack Kassian, send Ben Scrivens to MTL. Habs move on, EDM with nothing to lose. Mark is correct, the Oilers really have nothing to lose with this deal. Scrivens was never going to make it back to the NHL with the Oilers so if Kassian can never regain his NHL form its no big deal. If he can get back to NHL shape however the Oilers have a legit power forward who can hold his own on a skilled line. Oh and he sticks up for his teammates, he fights, and he’s one of the most effective agitators in the NHL. All of those reasons Oiler fans hated Zack Kassian will most likely convince Oiler fans to love him. What does it mean for the current roster? Nothing right away, Kassian will need to play in the AHL to get into game shape and who knows how long that could take but when he does make the show its likely the end of Luke Gazdic’s time in Edmonton. No need to have two face punchers in the lineup. Looking a bit deeper this move could have a much larger impact to the roster in the coming months, if Chiarelli sees that Kassian can play with some skilled guys he could be tempted to move one of Eberle or Yakupov to chase a top pairing d-man. Realistically however Kassian is nothing more than a bottom 6 winger who can chip in occasionally in a top 6 role, he’s also had substance abuse issues which may have been related to his style of play in the NHL. He’s dealt with the substance issues but can he still maintain the same style of play we’ve seen without using something to dull the pain or will he be Ben Eager 2.0? This entry was posted in Trades, Uncategorized on December 28, 2015 by jtunnicliff.